Game to practice Synonyms 1 IELTS TOEFL with this game. Game to practice Synonyms 2 IELTS TOEFL with this game. 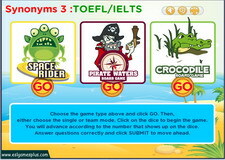 Game to practice Synonyms 3 IELTS TOEFL with this game. Game to practice Synonyms 4 IELTS TOEFL with this game. Game to practice Synonyms 5 IELTS TOEFL with this game. Game to practice Physical World, Geography, Landforms Vocabulary. Game to practice Prefixes Word Formation with this game. Game to practice Root Words with this game. 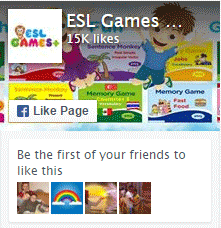 Game to practice Suffixes Word Formation with this game.